Hey everyone. Maybe I am late in the game about this one, but I found out that Zoya is doing a nail polish exchange so that you can get brand new nail polishes for free! Basically, you send them 6 or more bottles of polish that you don't want anymore. 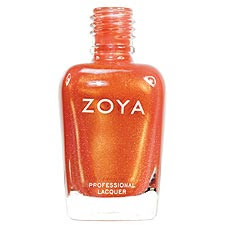 For each bottle sent, you get a "free" bottle of new Zoya polish (plus $3 per bottle to cover shipping). Okay, so to me it doesn't sound quite free but it is about half price which is still a great deal! I looked through my cabinets and found 6 bottles of crappy, old, lumpy polish that I don't wear anymore. 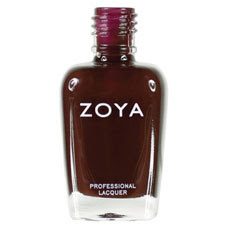 It doesn't matter if the bottles are half full or even empty, as long as it isn't already a Zoya polish. Included was a glitter polish that I don't even think I can open (brush is glued in the polish...haha) and an old $1 face shop polish from Korea that may be a decade old. Awesome. If you want to send in your polishes too, fill out the form at http://www.zoya.com/exchange/ and send them in so they are received before February 28th. Time's almost up, so go soon! OMG!!!!!!!!!! I just threw a lot of crappy nail polish in the trash not too long ago :( Oh well. I'm sure someone else can benefit from this. Thanks for the heads up, Jen! aww mannn i threw away my old ones too! :( but thanks tho!